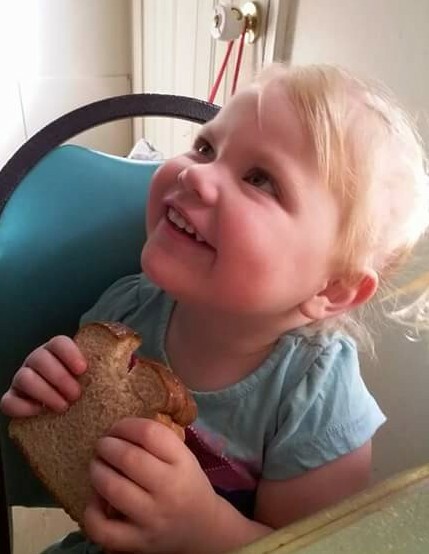 Athena Rose Svedine, 2 years old, of Clay City, went to be an angel with God on April 24, 2018. She was born on September 6, 2015, in Mt. Vernon, IL, to Georgia Dawn Pauly and Jonathan Chandler Svedine. Athena loved playing in the park everyday, and also loved Minnie Mouse, Peppa Pig, and anything purple or pink. Her favorite treat was Banana Swiss Rolls, which if she had her way she would have eaten everyday. Most of all she loved her mommy and brother Daven. Athena is survived by her parents, 1 brother Daven Chandler Svedine, her maternal grandparents Clarence and Terri Pauly of Mt. Vernon, IL, her paternal grandmother Susan Lefave of South Bend, IN, and several aunts, uncles and cousins.